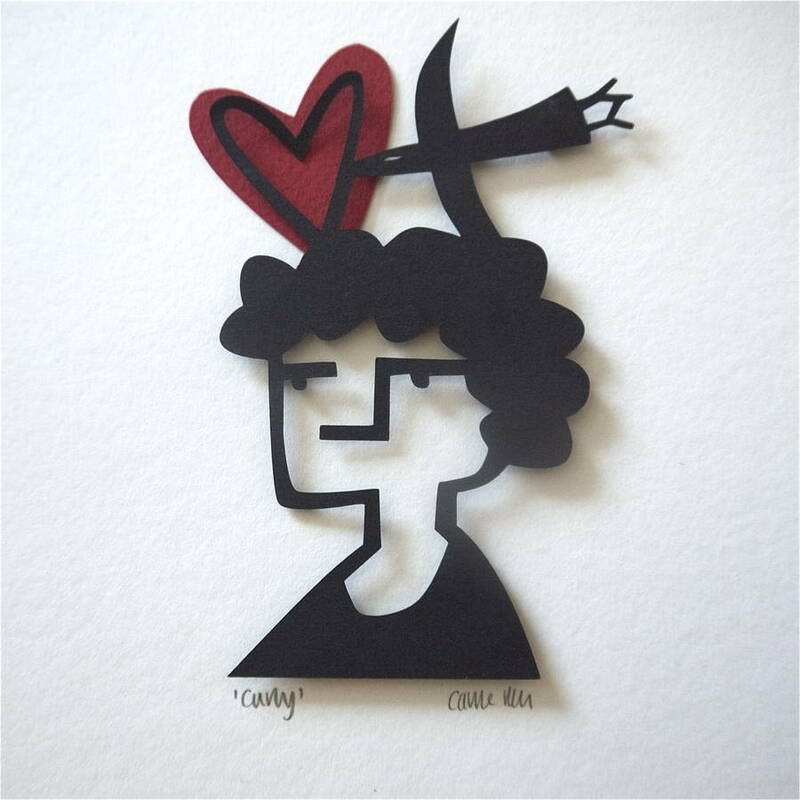 An original and striking papercut by Caroline Rees, designed to give to the man in your life and make him smile. 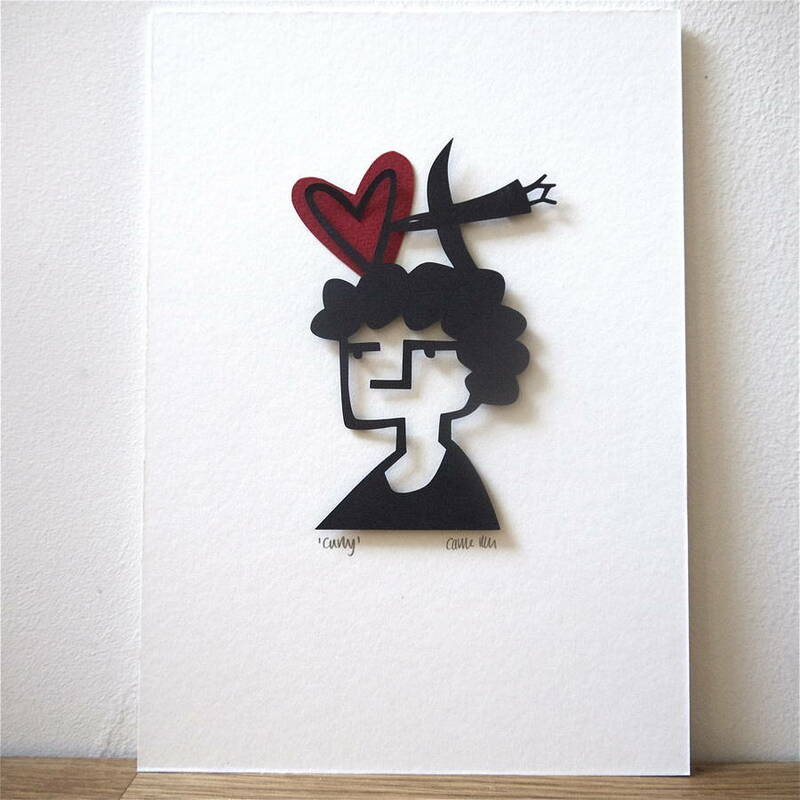 This papercut has been designed as an original gift for Valentine's Day or your man's birthdaty. It is relief mounted to create shadows and an illusion of depth and has been hand collaged with a splash of colour. The simple yet striking design complements both modern and classic interiors and is part of a collection of papercut portraits. Choose my title or make uP your own. 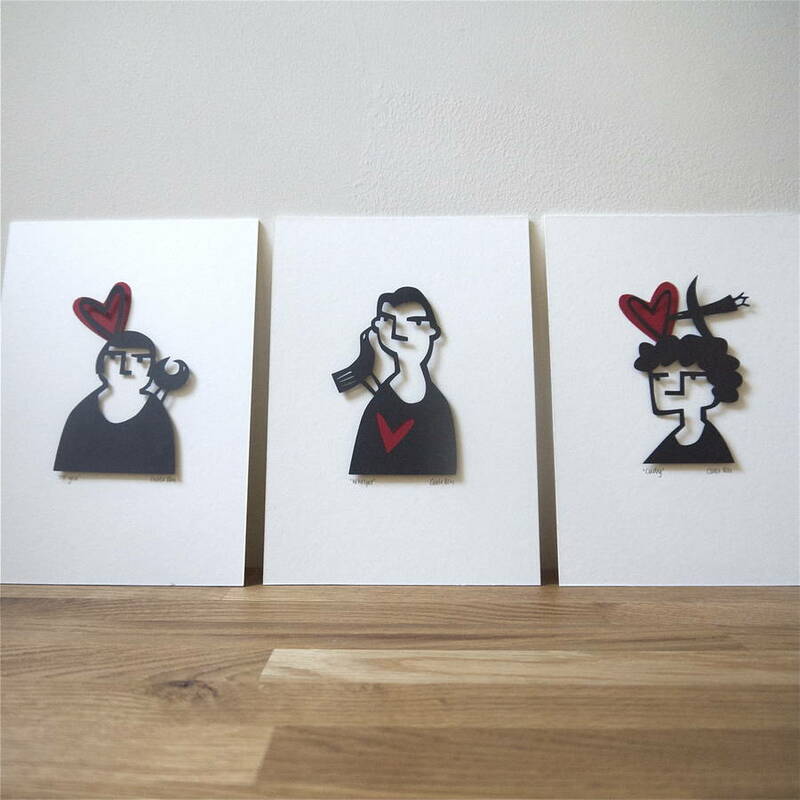 Lasercut from black and red paper, this artwork has been carefully relief mounted onto acid free mount board and is supplied to you in a protective polythene envelope. 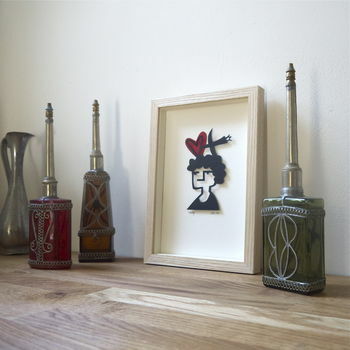 It is supplied UNFRAMED and the perfect way to present it is in a simple pale coloured box or shadow frame. This product is dispatched to you by Caroline Rees.